Since we had to push back the start of school by two days because we were still waiting for the classrooms to be ready; we are required to make up the two days we missed on Saturdays. This Saturday was the first of the make up days. Most classes went out and picked berries, or some sort of fun activity. 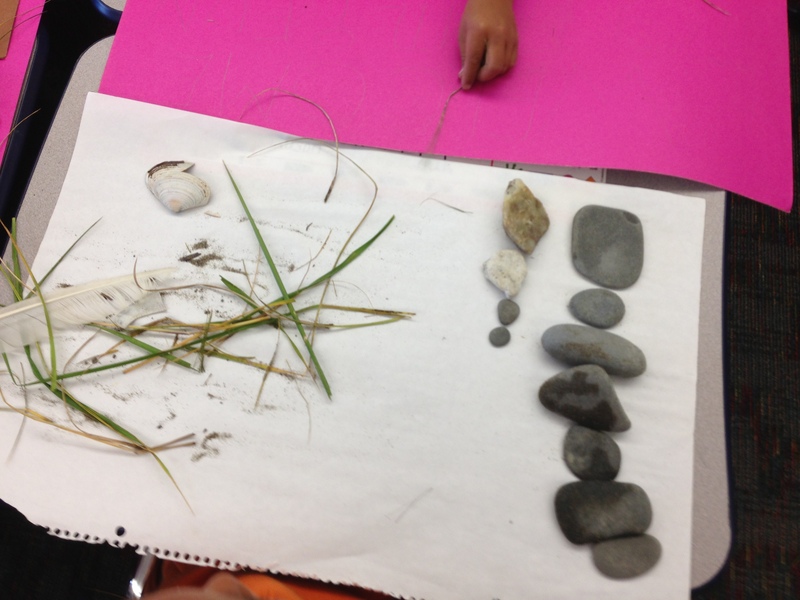 Our K-1 class took a walk out in the village and on the beach and collected items they found. Students collected items such as weeds, one student found a flower, rocks. shells, and feathers. 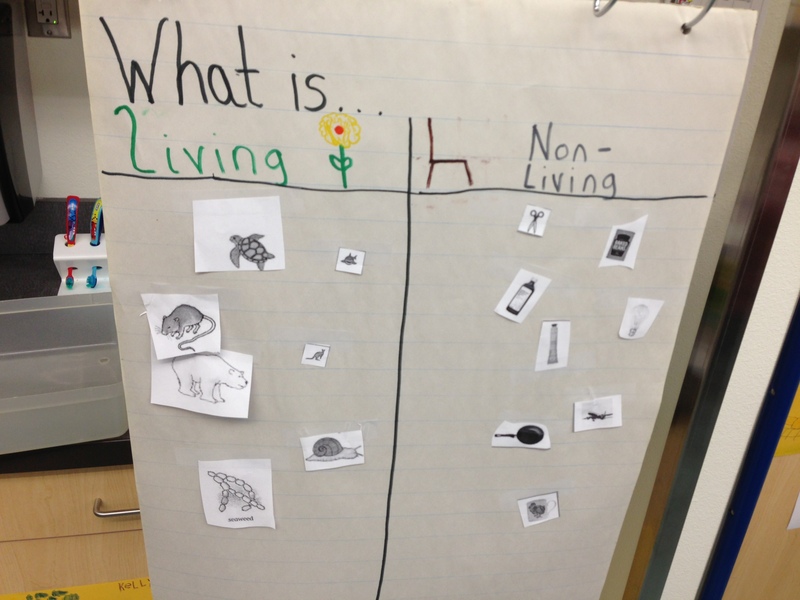 We took the items back to class and had a discussion on what living and non-living things were. Students then sorted their items that they found based on if they came from living or non-living things. For example rocks were non-living but shells once held clams (which students discovered were living creatures). 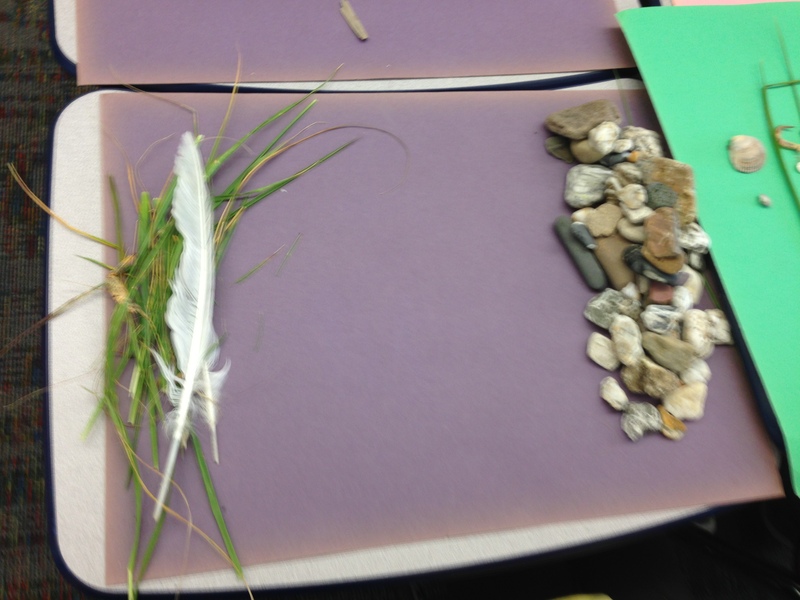 I also told students to put feathers onto the living side because they came from geese, which are living. Then I had students look at pictures I printed and cut, and they had to determine if the picture was of something that was living or non-living. They really caught on quickly and the whole day was quite a bit of success.